When you choose a car from the My Garage screen on the terminal unit, you’ll see the option Maxi Shop. 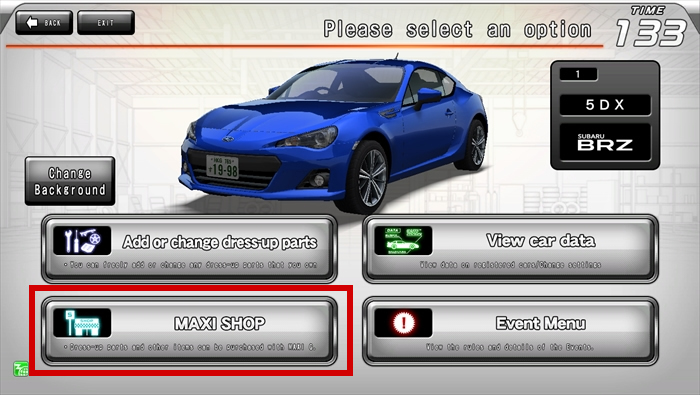 Here, you’ll be able to purchase dress-up parts using the Maxi G you’ve earned in online ghost versus battle mode. 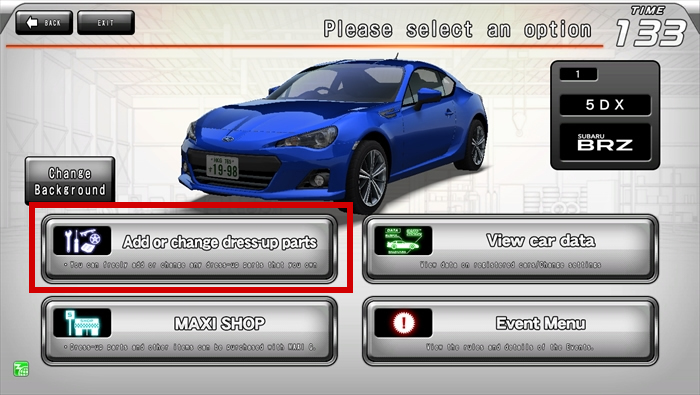 Once purchased, you can freely change up your dress-up parts through the Change Dress-up Parts option. *If you’re not currently holding any dress-up parts, you won’t be able to make any changes. 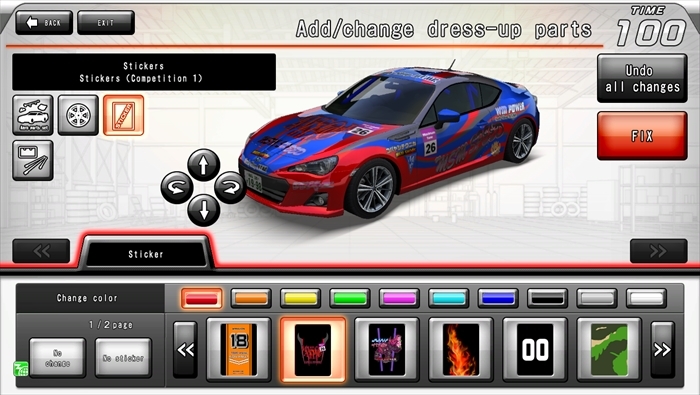 *Some vehicles cannot be equipped with dress-up parts/do not have dress-up parts available for purchase. 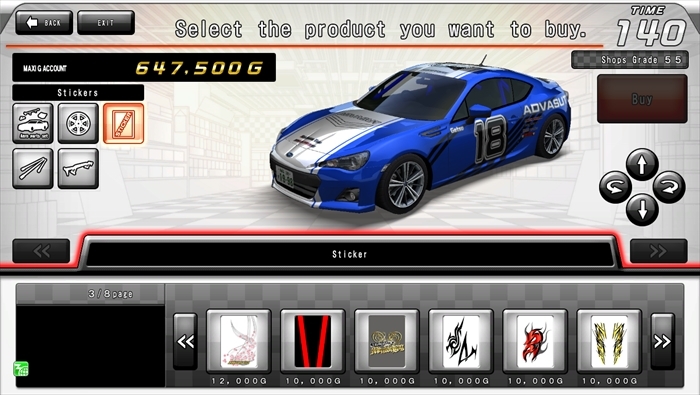 *The line-up of dress-up parts will differ somewhat depending on the car model.